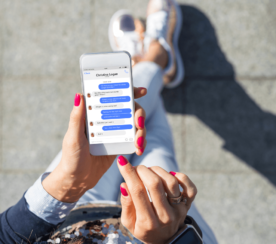 If you’ve been in Social Media for the last three to four years, you’re well acquainted with the controversy and skepticism surrounding Social Media ROI: lots of debate about what it is, does it exist, etc. Skeptical business owners say things like, “It’s fine for Dell or Ford to make money from Social Media, but what about my small or medium sized business? 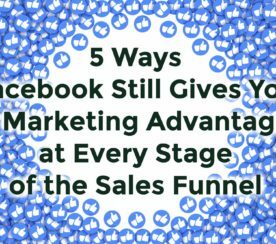 Who has succeeded besides Fortune 1000 companies?” And though we’ve seen Twitter ROI case studies, there hasn’t been much reported from the Facebook realm. 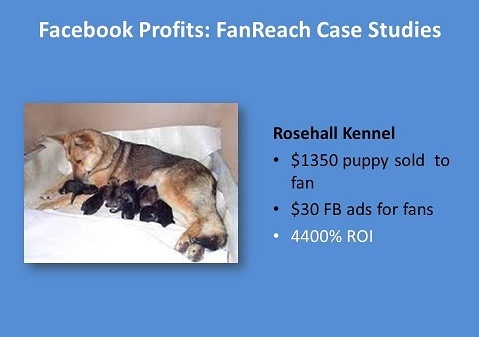 Here are three examples of positive ROI from Facebook marketing that I presented for the first time a couple of weeks ago in Boston. What I like about them is that they’re all small businesses. 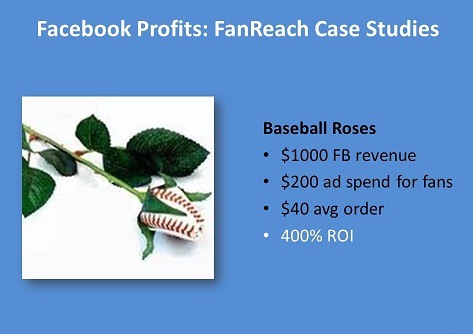 Mark Ellingson runs a website call Baseball Rose that offers artificial roses made from real baseballs and softballs. 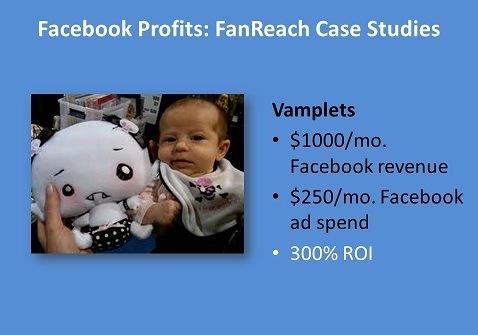 He spent $200.00 to grow his fan base, and has made $1,000 in Facebook revenue from that investment. Jaryl LaMort spearheads the Vamplets website which markets and distributes baby vampire dolls. He is spending $250.00 per month on Facebook ads (direct to the website, not a fan acquisition play) and bringing in $1,000.00 revenue per month from Facebook. Eliot and Emily Roberts of Rosehall Kennel breed German Shepherds. They spent just $30.00 growing their fan base before they sold their first puppy. Each puppy goes for $1,350. How to engage those fans and keep your Facebook posts visible to a high percentage of your fans. 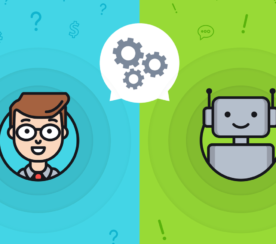 Doing just those two things well has led to positive ROI for some businesses. 6 Ways to Ensure You Make No Money From Facebook! Don’t use analytics. Optimizing what you’re doing? ridiculous! Make your prospects jump through lots of hoops and click at least four times before they can buy. Don’t use any incentives- if they want to buy, they should have to force themselves through the process! Just get any fans, it doesn’t really matter. Lower your prospect quality by giving away irrelevant prizes like iPads. Don’t warm people up. Just go right into selling. They’re on Facebook to buy stuff, aren’t they? But if you aren’t making those mistakes, and you do a good job with Facebook ads and Page engagement, you have an extremely good shot at positive Facebook ROI.